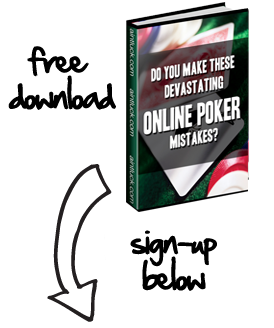 When you participate in online poker there are many different things that you can do to improve your chances of coming out on top at the end of your session. One of the things that you can do is pick the right poker table or tables to play on. This is referred to as “Table Selection”. The nice thing about online poker is that you have a lot of choices when it comes to picking the tables that you play at. There is no reason why you do not give yourself every edge possible. The big online poker rooms have tons of tables, limits and players. It is not hard to figure out what kind of table to sit at as far as limits and variations go, but it can be hard to think a little bit more about it. You can do much more than just figure out your stakes and limits. The internet is filled with terrible poker players. Why not take advantage of that and play with the players that are bad? You can see all the statistics in the lobby and figure out the tendencies of most of the players at all of the tables. You can see how big the average pots are and how high the viewed-flop percentage is. These are two things that will tell you a considerable amount about the players that are at those tables. A poker table with a high viewed-flop percentage and big average pots will show you that the table is probably very loose. If you know how to take advantage of loose players, why would you not take the time to find them? Other than the competition, you will have many other options. You will probably know that what game you want to play, but you might not think about the different table types. There are six handed games, full table games, turbo games and many more different variations of tables. Do not just sit down at any table, play the one that you are going to do best at. Too many people just sit down and play at whatever table pops up on their screen first. You have to think about the little things. There are so many little things in poker that can make you better, that when they add up, you are talking about some big things. The more that you can do to improve your game and give yourself an edge, the better you will do. Fortunately, most players do not take advantage of the little things. That is why, when you do, you will have a huge edge over your opponents. Just by doing these simple things with table selection, you will be able to gain that edge. Now, imagine what you could do if you put all of the other little things together along with that. You would quickly be able to see how much better you could become by doing the little things. When you are talking about online poker, it all starts with table selection. From there, the rest will all fall into place.